Caring for your skin can be a lot easier if you understand your specific skin type and how it adapts to certain seasonality. Every person’s skin is unique, but we’ll identify the most common types here to help you determine which type you belong and give you an idea how each skin type is different from the others. If you are not sure about your skin type, get a blotting paper and gently pat the different areas of your face. Read on and find out what skin type you have based on the result of blotting sheet test. If your skin type is normal, then the blotting paper will not reveal any traces of oil. Normal skin feels balanced, and the pores are usually unnoticeable. This is the ideal skin type, but because of various factors such as genes and lifestyle, having normal skin is very challenging. If your skin type is dry, then the paper remains clean, but your face will feel dry and tight after you wipe it. This type of skin is prone to flaking, that’s why people with dry skin type are advised to keep on using moisturizers and avoiding products with too much chemical content. It is a very common skin condition that is caused by lack of the appropriate amount of water in the upper layer of the skin which is normally called epidermis. There are many reasons that can cause dry skin condition like winter weather, steamy showers, and rub down. Read more about dry skin problems & solutions. If you have oily skin type, then the blotting paper can easily detect it. You can notice some spots of facial oil on the paper. The oil appears more on the areas like your cheeks, nose, and forehead. This type of skin looks more tired as compared to all other skin types. When excess oil accumulated on the outer layer of the skin, it leads to the development of oily skin. 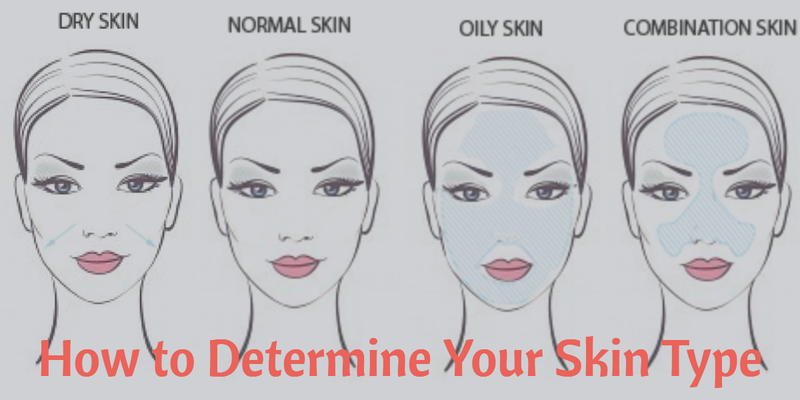 There are many reasons that can cause an oily skin such as genetics, overusing skin care products, seasonal changes, hormonal changes, sun tanning, and stress. If you have combination skin type, then the blotting sheet will show traces of oil coming from your nose and forehead while other areas of your face like cheeks and jawline look smooth and clean. An oily “T-zone,” as they call it, is the most common skin type, but most of the people having this condition do not actually know that they should take care of their face differently. Unlike other skin types, this one needs customized skincare routine. Nose with large pores and flaky cheeks require different solutions, so make sure you know how to treat these issues to avoid making them worse. Generally, the nose, chin, and forehead of people with combination skin have more active oil glands that’s why these areas are more prone to clogged pores. The cheeks, on the other hand, have less active oil glands, that is why they may appear dry and clean. There are many reasons that can cause a combination skin including genetics and use of wrong beauty products. If your skin is sensitive then it feels very dry, you can also feel your skin as less elastic or tight. This type of skin easily gets inflamed and irritated. It also develops reddish areas and can be itchy and prone to breaking into spots. It is the most problematic type of skin because it requires a very special type of care. A lot of people experience skin sensitivity from time to time and having this condition is difficult because this is when skin suffers from various issues such as like slight red patches and itchiness. This type of skin occurs due to weather conditions, air-conditioning, stress, pollution, and hormonal change. It is always important to know your skin type because it allows you to tailor your skincare routine and pick beauty products that are appropriate for your needs. Remember that it is easier to find solutions if you know what your problem is.